service to your existing saddles across all of Cornwall, Devon, Somerset and Dorset. knowledgeable and reliable saddle fitting service in the Southwest. Why choose a SMS Qualified Saddle Fitter? We are often asked, why should you use a Society of Master Saddlers’ Qualified Saddle Fitter? By using a Society of Master Saddlers&apos; Qualified Saddle Fitter you are assured the knowledgeable and a professional service of the highest standard. The Society instituted and continues to operate and monitor the only professional saddle fitting qualification available worldwide. Your Society of Master Saddlers&apos; Qualified Saddle Fitter will provide a professional service based on knowledge and integrity. Purchasing a saddle involves considerable expenditure and some important decisions, and as Society of Master Saddlers’ Qualified Saddle Fitters we are there to provide you with expertise, advice, help and information. Based on the Nutwell Estate in Lympstone, near Exeter, our superb saddle fitting facilities include a purpose built saddle studio which leads directly to our consultation area. Our studio is an area to relax and enjoy a tea or coffee before your fitting commences. Our two stables allow your horse to settle before the fitting begins. Our fitting area has direct access to our beautiful indoor arena with a superb Martin Collins surface, enabling the fit of the saddle to be thoroughly tested and evaluated throughout your appointment. 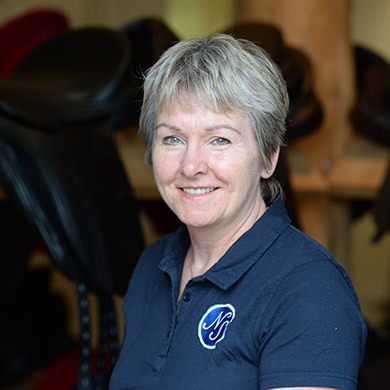 Already a Society of Master Saddlers&apos; Qualified Saddler since 1991 Janet qualified as a Saddle Fitter in 1995 and after several years of service, was invited by the Society of Master saddlers to become a Master Saddler. 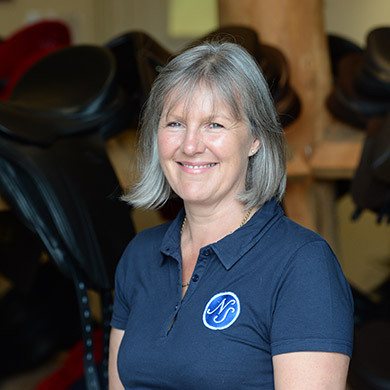 Janet joined Nutwell Saddlery in 2005 from the very beginning and to this date remains our consultant Master Saddler. Kate started her professional career as a qualified nurse working within the NHS. 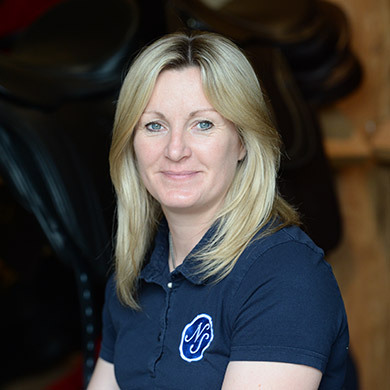 After many rewarding years, she wanted to pursue her passion and joined Nutwell Saddlery in 2007 as an apprentice and successfully gained her qualification in 2009. 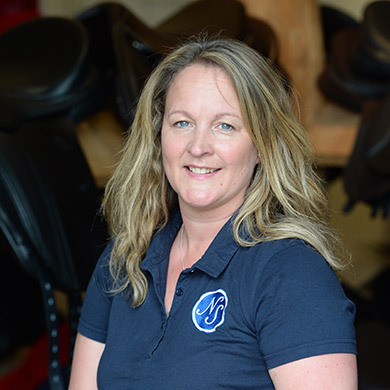 After 10 years of being a qualified saddle fitter, Kate has now been recognised as a Qualified Master Saddle Fitter, for her high level of expertise and experience, one of only 13 in the UK and 2 within the Southwest. After qualifying as a veterinary nurse from the Royal Veterinary College in London, Kerry spent many years working with leading equine veterinary practices across the UK. 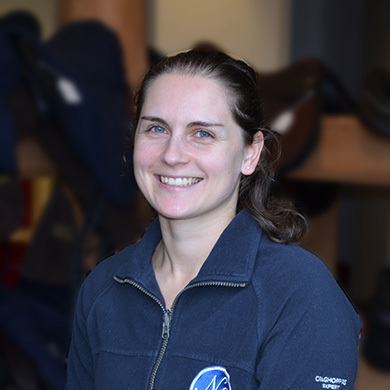 In 2005, she decided to broaden her knowledge and joined Nutwell Saddlery as a trainee saddle fitter. She completed her training alongside Janet and Kate and qualified in 2008. 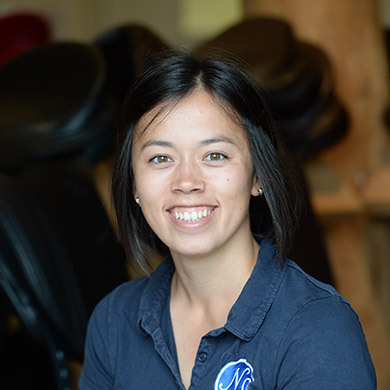 Rachel joined us in September 2017 having moved down from London to train as our Trainee Saddle Fitter. 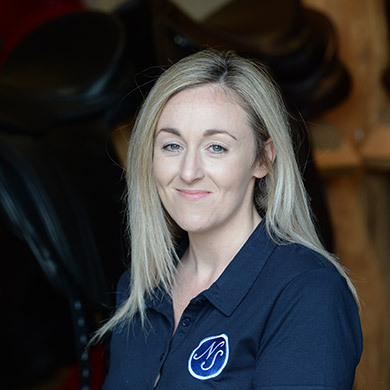 During the past year, Rachel has worked extremely hard to gain her experience and knowledge required to become a Society of Master Saddlers’ Qualified Saddle fitter, where in October 2018 she successfully passed our Qualified Saddle Fitting exams, and was of one of only four people in the UK to pass their exams this year. Before joining us, Rachel has completed a Worshipful Company of Cordwainers’ Diploma obtaining her Level 1 & 2 in Saddle, Harness & Bridle making and is currently working towards her Level 3 in Bridle, Saddle and Harness making. Kayleigh joined us in June 2010 and worked as the office support running the diaries for the team. After 5 years’ experience her role developed into a managerial position and she is currently responsible for the development of the business. Gracie joined us in July 2017 and quickly settled into the role providing office support to the rest of the team. Gracie is the main person you will speak to when booking in your appointments or dealing with any queries you may have. Laura joined us in April 2016 on a part time basis to provide additional office support to the team. Laura is a valuable member to the team and is well known to customers for her constant biscuit supply! 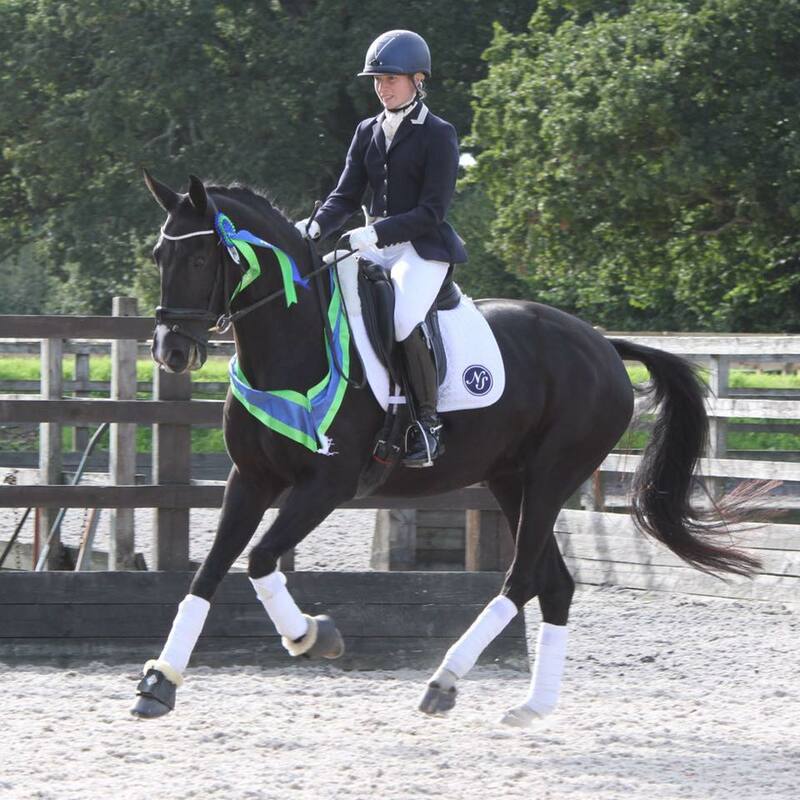 We are proud sponsors of up-and-coming dressage rider Laura Summers. Laura is a member of British Dressage and has progressed from BYRDS into seniors representing Devon, the South West and then England at the Home International for the last three years. Laura trains regularly with Conrad Schumacher at the Half Moon Stud in Dorset, and intends to achieve her top hat and tails and compete internationally in the future, and we are looking forward to supporting Laura throughout this exciting time in her dressage career.